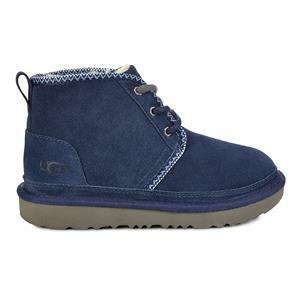 Warm and soft, our best-selling UGG® Neumel features plush sheepskin lining to keep your little one cozy. This chukka is built to move the way kids do with a rocker-bottom shape for a barefoot feel and our super-lightweight outsole for traction and durability. Plus, it's pretreated to protect against water and staining, so your little one can get into anything.